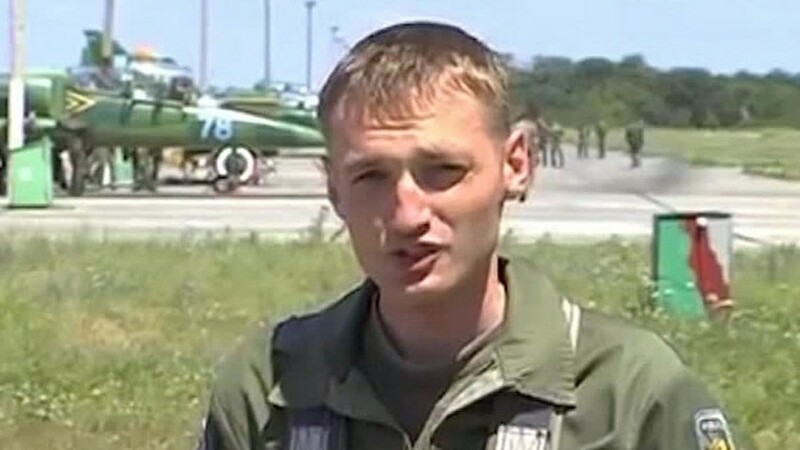 Death of ex-Ukrainian fighter pilot draws attention to anti-Russian duplicity by the West. Is the anti-Russian narrative being fabricated? With all the hullabaloo over the claimed Russian 'Novichok' poisoning of Sergei Skripal (66) and his daughter Yulia (33) in Salisbury, home until his death of British ex-Prime Minister, Ted Heath, all the millions of other deaths get proportionately little or no attention by the media. It is endlessly fascinating to me how we as humans treat both life and death on an enormously variable scale of importance. Many lives pass hardly noticed or lamented, whilst others dissolve countries in tears or start wars. Much more turns on the death of some than others, largely as determined by government, media and national sentiment. So it is the world over. It is easy to think of examples. Had it not been for the death of two individuals in Sarajevo in 1914, countless millions of lives would have been saved. It is now a century since the First World War entailing 18 million deaths and 23 million wounded. Causing the death of another is seldom treated objectively. As has been demonstrated recently in Israel, where a slap can be treated more harshly than cold-blooded murder, depending only on what tribe the assailant and victim come from! In rather similar fashion, the attack on the Skripals - if such it was - has led to an international crisis, whilst the death of a homeless man on the street from cold and exposure in the absence of available shelter, evokes hardly a murmur from government. This inconvenient fact rather undermined the British Prime Minister, Theresa May's claim that "We will never tolerate a threat to the life of British citizens and others on British soil." Unless presumably they are destitute nationals, that the government cares nothing about! The blatant hypocrisy of her position requires no further emphasis. The premature death of Ukrainian pilot Vladislav Voloshin, although reported by the western media sources, has been given far less prominence to that of the Skripals, possibly because it is a reminder of a rather embarrassing flaw in the west's case that Russia was behind the shooting down of MH 370 over Ukraine, used by Mrs May to justify her hard-line "rogue state" claim. 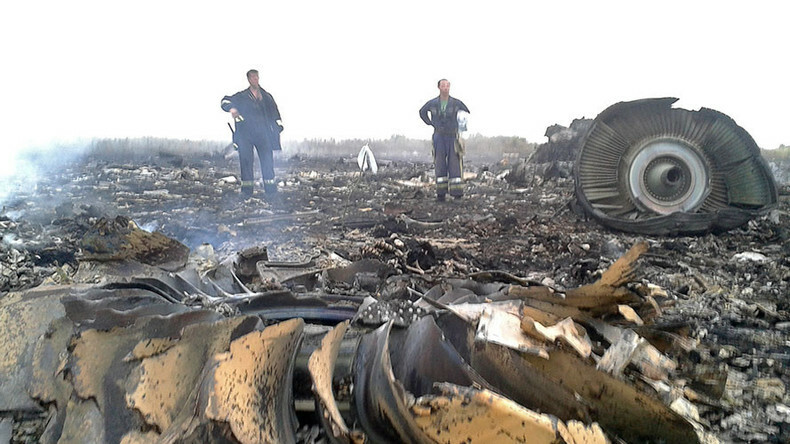 Crashed remains of MH17. Note position of door, windows and flag. The Western/NATO/Ukrainian position was and remains this was effected by a ground-to-air 'Buk' missile fired by Russian supported separatists. The problem is that the facts - as with the Skripal allegation - hardly support the claim. Nor could it be overlooked that incredibly the plane and airline were identical to that of MH370 that mysteriously disappeared whilst on a flight from Kuala Lumpur to Beijing on 8th March, 2014, and despite a huge search effort over and under the Indian Ocean, never since found. The fact that two almost identical Boeing 777 planes, owned by the same nation and airline, flying to and from the same airport, should both come down within three months of each other, under still unresolved and mysterious disputed circumstances, is almost unique in aviation history. Even the cause of the revolutionary Comet crashes, despite some contrary opinion, was pretty much solved. The downing and disappearance of the Malaysian airlines planes was pinned on the Russians with virtually no evidence, much as the Skripal poisoning now is, suggesting skulduggery by the west and/or its allies desperate to promote conflict with that country. The tri-partite Joint Investigation Team (JIT) bound to secrecy still hasn't come to conclusion after four years! 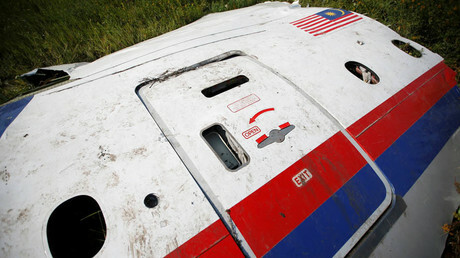 The tri-partite Joint Investigation Team (JIT) investigation inquiry, representing the Netherlands, Belgium, Australia, Ukraine and Malaysia, with input from the manufacturers Boeing and other aircraft disaster experts, was immediately subject to a binding contract of secrecy unless all three agreed to publication - unprecedented in a civil airline disaster. It has not yet conclusively proved cause or perpetrator although in 2016 with scant evidence it determined it was a Buk missile fired by Ukraine 'rebels'. It still has not published its final report. The most recent update on the investigation, released earlier this year, Delphically stating it was “extended until January 1, 2019” and would remain “a matter of a long period of time." Is it not highly suspicious that neither MH370 nor MH17, sharing as we have noted so much in common, have had anything like a conclusive resolution? 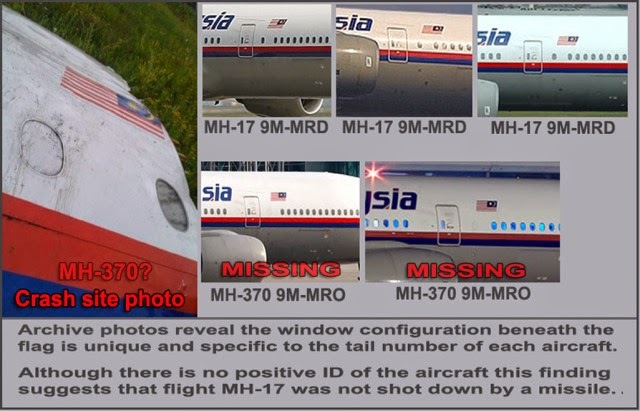 Was MH 17 actually MH 370? Returning to the image of the crashed plane (top), experts have observed that it reveals the extra window unique to MH17 (9M-MRD) is absent. This would appear to rule out the genuine MH17 crashed on the ground. The crashed plane window configuration, does however accord with the window images of the original MH370 (9M-MRO). If this is accurate and reliable, it would suggest that somewhere along the line, the MH17 was in fact swapped with a still extant MH370 for the Amsterdam/Kuala Lumpur flight. As far as I am aware this very critical and fundamental observation has neither been refuted or explained by the Investigating team. I am happy to be corrected if wrong. Note in the next image that claims to be MH370 taking off from Roissy-Charles de Gaulle Airport (LFPG) in France on 26 December 2011, twenty-seven months before it went missing, the flag emblem is missing from the rear door and is only visible at the front, suggesting either it was added later or it is a different crashed plane on the ground. The mysterious Boeing 777 in Tel Aviv! 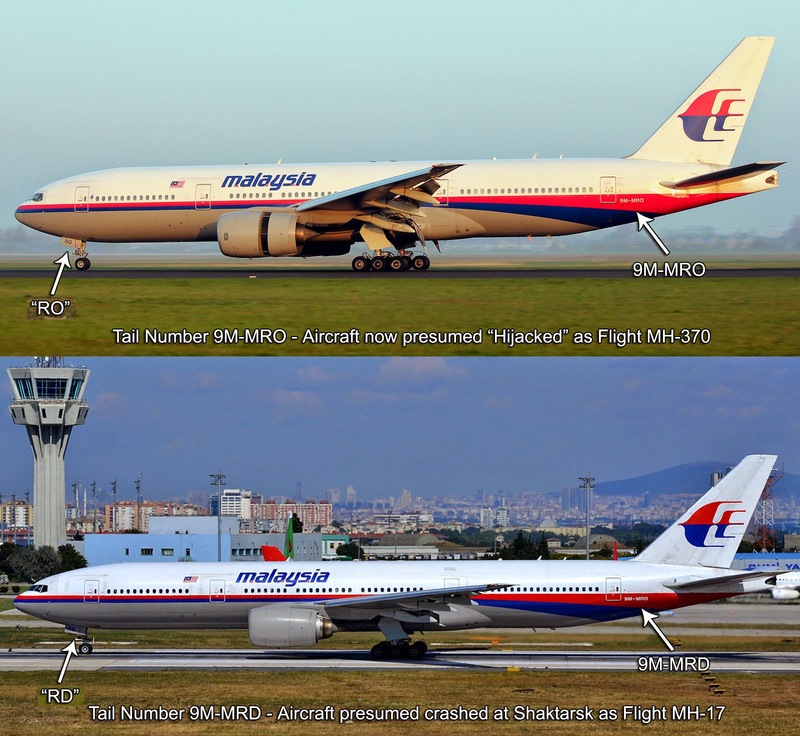 Where the original MH17 ended up has not been revealed but in another suspicious twist in the story, it was revealed soon after MH370 went missing, that an identical Boeing 777-200 had ended up via a very obscure and circuitous route in Tel Aviv the Israeli capital. 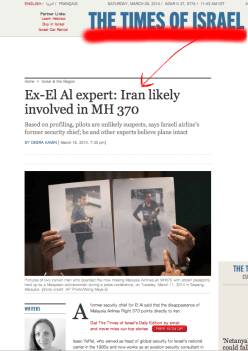 A full exposition re-post is provided at the foot of this article, but as frequently occurs, it implicates Israel in both the the MH370 and MH17 incidents. Did Vladislav Voloshin shoot down MH 17? At the time of the crash I suggested, with many others, that the evidence such as it was pointed much more to an attack by another aircraft rather than a ground to air missile. I won't repeat all the cogent reasons for this. The most likely was a fighter from the Ukrainian air force as there has been no suggestion of other fighters being in the air - not even Russian ones! Now the death of an ex-SU 25 fighter pilot of the Ukrainian airforce, Vladislav Voloshin, apparently by suicide, draws attention to the circumstances and the likely duplicity of that western-backed country. Voloshin, the 29-year former pilot, who had been accused of being the responsible pilot, died in his apartment in the city of Nikolayev on Sunday 18th March, 2018 from a gunshot wound. The incident has been described by the Ukrainian police as a suicide. He was apparently suffering from depression. 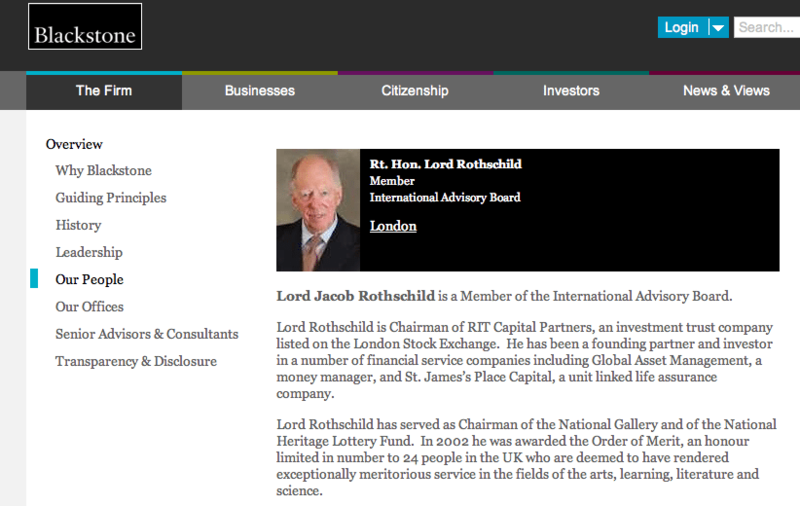 Could it be the death of 298 people was weighing on his conscience? Clearly such a suggestion requires far more than speculation. What is the supporting evidence? He said He 'personally' saw Voloshin's warplane 'loaded with R-60 type air-to-air missiles, with which Su-25 fighters were not normally equipped'. In addition, Voloshin received the third class Order For Courage on July 19, 2014, only two days after the MH17 tragedy. Voloshin’s citation quite vaguely reads: “for personal courage and heroism shown while protecting the state sovereignty and territorial integrity of Ukraine.” No other event other than than the downing of MH17 offers itself up as justification for such a prestigious medal and none has been offered by the Ukrainian state. Despite numerous complaints following his retirement soon after the event he was appointed acting director of Mykolayiv International Airport, hardly a sign of disapproval by the State. So we have an event of two people taken seriously ill and blamed on a allegedly Russian nerve agent organised and carried out by Russia on the flimsiest of evidence, whilst strong evidence it was Western-backed Ukraine that brought down MH 17 is totally ignored. In these circumstances what faith can we have in anything our own government claims in respect of Russia?